This course has been designed as an introduction to the potential of this powerful software tool. The course covers all aspects of the use of the software from loading and registering to the development of project documentation. FluidDraw is a versatile tool for creating circuit diagrams and associated documentation for pneumatic and electro-pneumatic control systems. 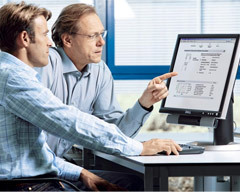 Adapting drawing frames to company specification, creating library cells with commonly used component combinations and linking to the Festo product catalogue are all covered in the practical exercises used during the course. Access to the software will be made available during the course however you may bring along your own laptop if you wish. The course fee includes 1 copy of FluidDraw P5. Anyone tasked with designing pneumatic or electro-pneumatic control systems and creating the associated circuit diagrams and documentation. An understanding of pneumatic and electro-pneumatic control systems and components and the symbols used to represent these components. Course takes place over one day and is available in-house or at our Applied Automation Centre in Northampton. To discuss this seminar in more detail, please contact the training team on (01604) 667068 or alternatively, e-mail training.gb@festo.com .